Mathews Landscapers have over 20 years experience in landscaping, this allows us to provide an all encompassing service to our clients. 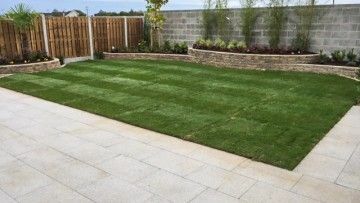 Our comprehensive service offering includes garden design, garden layout, water features and rockeries, stonework and patios, natural habitat creation, and lawning and tree planting. A beautiful garden requires imaginative, functional design followed by careful plant selection, compatible planting and competent construction. Our success is attributed to the quality of the workmanship and the beauty of our landscape designs and gardens. Aesthetically pleasing yet functional gardens are our hallmark. So if you're looking for a child friendly, secure garden, or a more stylish, fashionable garden, we will have the solution for you. Call us now for the best work in the market at the most reasonable prices. 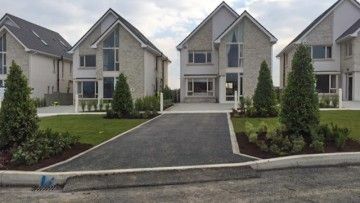 The Association of Landscape Contractors of Ireland (ALCI) represents landscaping contractors across Ireland who are committed to providing quality and professionalism within the field. 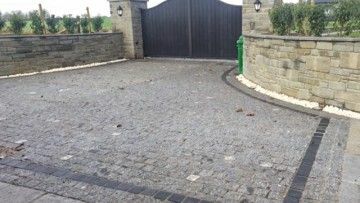 Joe Matthews Landscaping & Paving is a member of the Association of Landscape Contractors in Ireland (ALCI) and all our staff are fully qualified and insured under Public Liability Insurance (PLI).